Q.B. 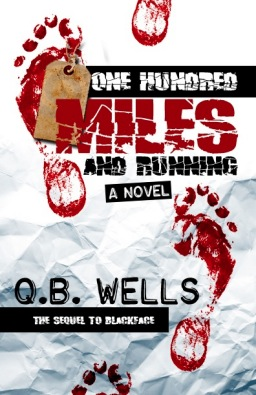 Wells is the founder of Art Official Media LLC and the author of Blackface: A Novel, One Hundred Miles and Running and Doughboy. 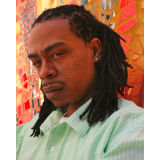 He enjoys writing, reading, spending time with family and friends. 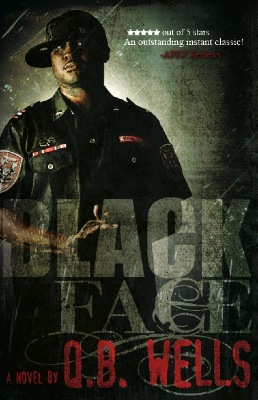 On the run with $100,000 counterfeit cash and a suspect in a murder case, Face is back hitting licks and looking for a place to settle. When licked for the $100,000 in Baltimore, he is forced to put his girl Jazz to the street. Jazz takes to the street all too well. After a couple encounters she desires more than the small town streets and lax security Face has to offer. Jazz comes across a trick that offers a stable life and some opportunities. She takes the stash, skips town and begins to start a new life under a new name. Face discovers Jazz s found happiness in the straight life and goes insane. She can t be happy without him. He d rather her dead. Jazz must compensate and suffer for the hard times Face felt when she departed or he will kill her and destruct everything around them. Face knows where she is.... Jazz feels Face s presence and lives in a paranoid state, two steps ahead from Face. No matter what, Jazz isn t far enough away. Both Face and Jazz are one hundred miles and running from danger.